If I were to ask you ‘what are you afraid of?’ I guess I would get a whole range of responses; clowns, heights, spiders, death, onesies! But if i were to ask you what place fear had in your journey of faith, what would you say? What do we fear as saved people? Is there anything about living life as a Christian that causes us to fear? You may have answers to those questions, you may not. Can I share with you something that God has been speaking to me about regarding the story of David and Goliath. Saul wanted David to take his armour, Saul believed the only way David had any chance of surviving more than 5 seconds against Goliath, was with Saul’s armour. But not only did David realise that he ‘couldn’t wear Saul’s armour, he also I think realised that he ‘shouldn’t’ wear it. I have no doubt that when any of us experience fear it is a very real and terrible feeling. It can cause us to react emotionally, to be physically paralysed and to be unable to function normally. Lately I have seen that occasionally as Christians we can get dragged into the worlds view of fear, a view that removes our fundamental belief that God can, and will, act on our behalf and go before us. We can find ourselves in a tricky situation and our natural reaction is to fear and then attempt to protect ourselves, to take Saul’s armour so to speak. But you see because of our faith in God and our belief in the fact that God “works for the good of those who love him”, we have a different response before us. The fear we may experience is still as real but we need to remember that the God we follow is even more real and present. David knew something about God as he walked out before a giant, armed only with sling and stones, and faith in the Lord Almighty. 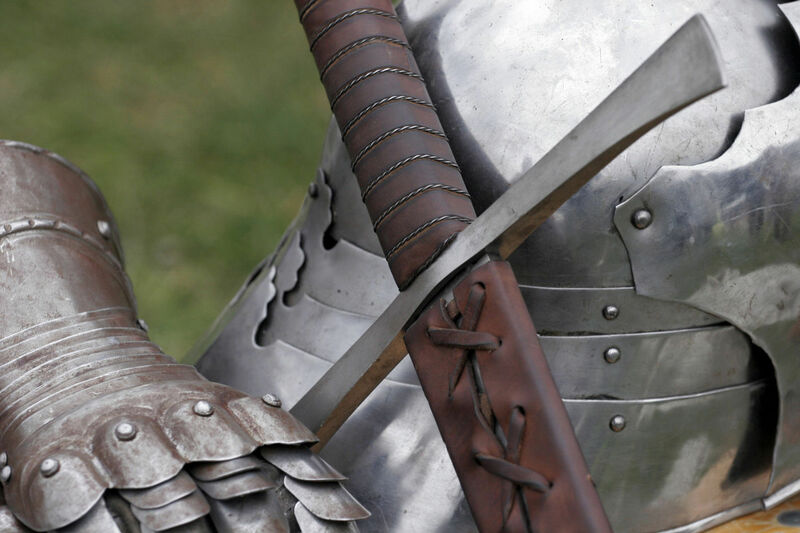 I believe that David may have experienced fear as he faced a well-armed 9ft warrior, but what he experienced even more clearly and in an even more real way, was the presence of God, the knowledge of the truth of God, in essence David wore a different armour to combat the fear he faced. ← We need more time with people!